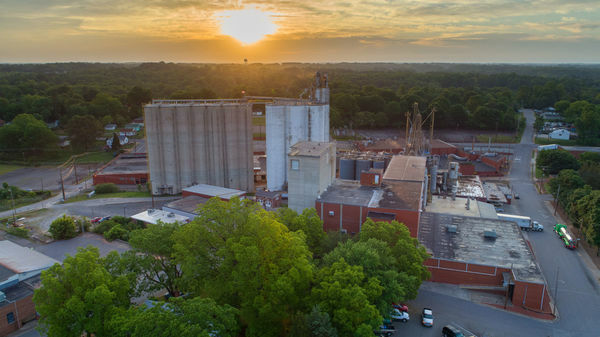 In March 2016, The Mennel Milling Company and Plaza Belmont, a private equity group, entered into an agreement to jointly operate Renwood Mills, LLC. The commitment from Mennel to provide management oversight of the North Carolina-based bakery mix facility, came after careful consideration and enthusiastic approval from Mennel's Board of Directors. "We are excited to work with Tommy Lynn, CEO, and the entire management team at Renwood Mills, to continue to build on the strong foundation and fine tradition of producing the highest quality products in North Carolina." The addition of the Renwood Mills facility to Mennel's robust portfolio of locations in Ohio and throughout the greater Midwest serves as a key milestone for the diversification of services. If our current customers are seeking a just-add-water mix, we can now offer a more complete product. Similar to Mennel, Renwood Mills has an outstanding reputation for their commitment to quality, uniformity and service. This partnership is a great fit. Click here to learn more about custom recipe options from Mennel Bakery Mix and Foodservice. Renwood Mills is an 80-year-old flour milling and mix company founded by G.D. Drum in 1935. The company operates a 7,500 cwt flour mill and 12 ton corn mill that supplies its own state-of-the-art packing facility. The company produces the trademarked Southern Biscuit and TendaBake brands and custom foodservice mixes as well as wholesale bulk flour.